We got Winnie when she was seven weeks old. Born and bred – quite literally – in rural Pennsylvania, she was small, sweet, and destined to love playing fetch with the kids. For my parents, who had three kids below the age of 10, this pure-bred cockapoo who never shed was nothing short of a dream puppy. Today, this behavior has become so routine that my family has an efficient signaling system: someone says, “Winnie has socks,” and the rest of us proceed according to plan. When Winnie “has socks” she is incredibly smart with them; she avoids eye contact expertly, pees with them in her mouth, and will not put the socks down, no matter what. If she has to lick herself or scratch her ear, she swiftly tucks the socks between her legs and keeps her head down. And if you so much as try and grab them from her, she will growl at you ferociously. This can go on for several days until she eventually forgets about her precious pair of socks. Winnie never actually ingests any socks, but rather clings to them, not unlike how I hung onto my security blanket as a kid. Interestingly, the psychological reasoning behind why dogs steal socks isn’t all that different from why a child gravitates to a comfort object. Dogs steal socks for attention. Dogs understand and interpret human expression much more than one might assume. When your dog begins to realize that stealing a pair of socks from your clean laundry pile is going to get you looking his way, he might get in the habit of doing it for fun. It’s as much a game of “keep away” as it seems. This is when dogs might swallow the sock – just when you get close enough to reclaim it from their grasp, they swallow it in the ultimate claim of victory. 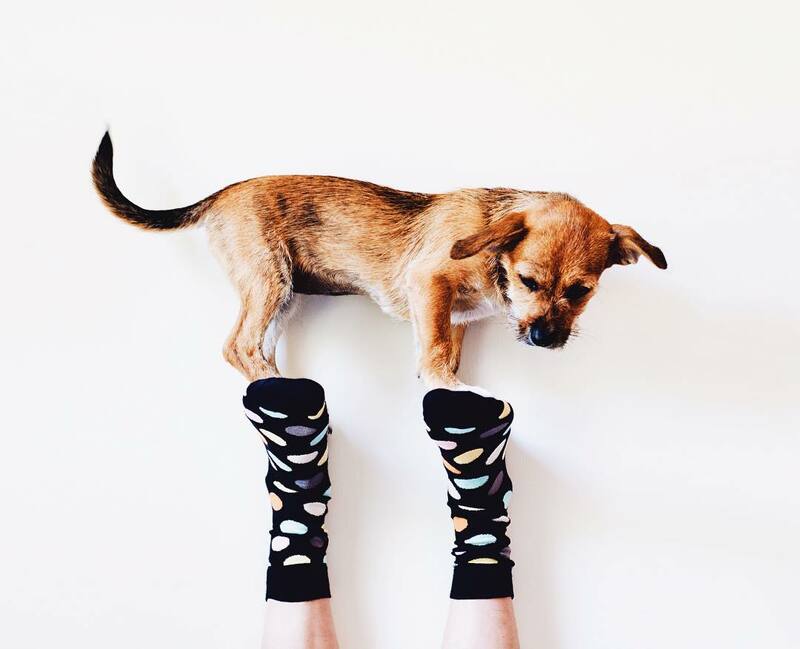 Dogs might actually think socks are valuable. Dogs, like humans, have a notion of a “resource” – something they find valuable and worth protecting at all costs. If dogs come to the conclusion that an inanimate object like a sock (or a special toy, bone, stick, etc.) is valuable and worth guarding, then they will guard it with all their might. Dogs who demonstrate resource guarding with socks might growl or keep their heads down when you approach them mid-sock holding (like my dog, Winnie). Some dogs have a taste for inanimate, non-consumable objects. This is known as “pica,” and dogs that also regularly consume rocks, dirt, leaves, and even toys could have it. The underlying cause of pica in dogs is still to be determined, but it’s hypothesized to stem from metabolic or internalized behavioral issues. Your dog might have eccentric cravings. Maybe your dog just likes eating socks because they’re satisfying in one way or another. The socks smell like you, they’re soft and comfortable… I don’t know – to each his own, I guess. Your pup might also just be acting out due to boredom, which can also cause a slew of other mischievous behaviors. Your dog has separation anxiety. Okay, so my dog ate my sock. What do I do? This depends on how soon you identify your dog as a sock-swallowing culprit. If you realize your dog ate a sock right after the fact, you can call your vet for instructions on how to induce vomiting and get the sock out of your pup’s system before it’s been digested. Your plan of action should also depend on the dog-to-sock ratio. Here’s what I mean by that: little dog, big sock, bigger problem. Big dog, little sock, less of a problem. That being said, you should call your vet either way. Most vets will instruct those with big dogs to monitor their pups and remain on the lookout for symptoms of intestinal blockage, like a loss of appetite and vomiting, or for the sock, which might pass in your dog’s stool. Those with small dogs are generally encouraged to get to the vet ASAP, where your pup can get an x-ray or a more invasive procedure to locate the sock. Do you have tips for keeping your dog away from the laundry pile? Asking for a friend.